The second in a series of 22 never-before-seen concept art images that will be released once per day, starting November 13th. Do you like this cavern concept room? Do you think your norns would enjoy exploring here? It's too bad CO got shelved. Even if it was a crappy game, the environments would have been really pretty. If this was a little bigger and had a few layout changes (and without the copyright issues), it would make a great metaroom background. Looks pretty different from the earlier one eh. Yes, i saw a video wherein a norn used a ladder. :3 maybe they've evolved a bit since we last saw them? If this truly is anything to go by, the cavern will look absolutely stunning. 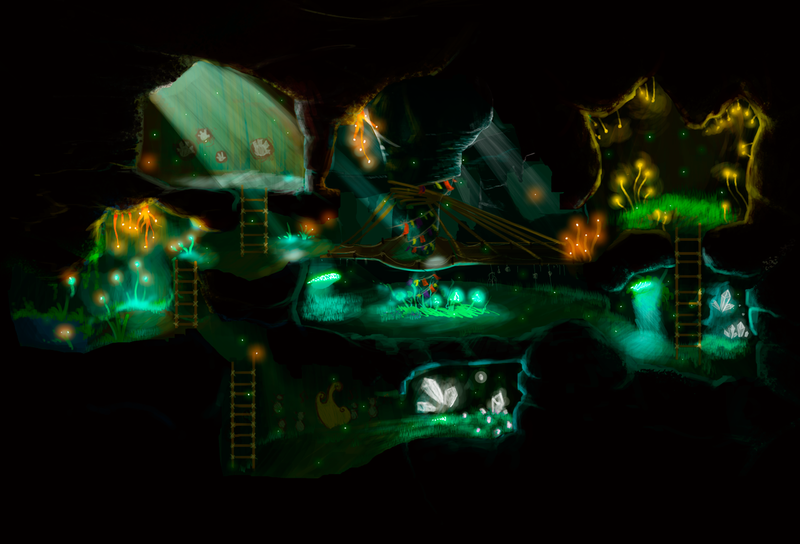 I hope the finished room will look just as atmospheric and seepy as the concept art does!